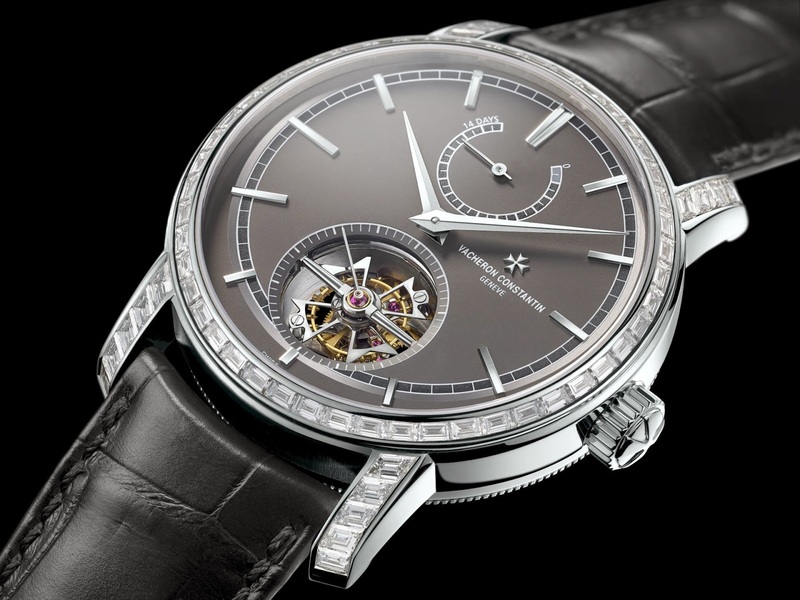 This high performance Traditionnelle 14-Day Tourbillon from Vacheron Constantin comes in a round, understated case in platinum highlighted by the sparkle of baguette-cut diamonds. 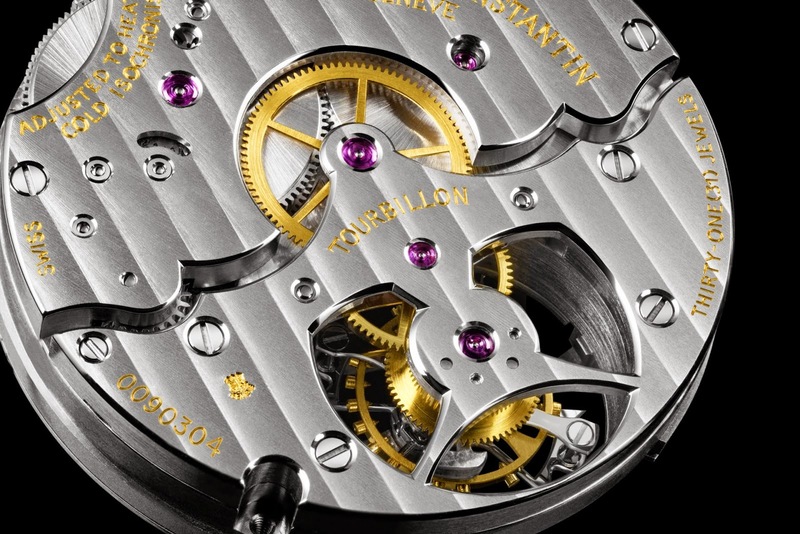 The Traditionnelle 14-day tourbillon model embodies the quintessence of the art of horology. While the first tourbillon emerged in 1801, the ability to develop and craft this horological complication in-house remains the exclusive preserve of a rare circle of Manufactures. Combining a tourbillon with such an impressive power reserve calls for a specific construction. The Traditionnelle 14-day tourbillon is therefore equipped with Calibre 2260, a mechanical hand-wound tourbillon movement providing an exceptional 14-day power reserve. In addition to the tourbillon coupled with the small seconds at 6 o’clock, it also features slightly off-centred hours and minutes functions, as well as the power-reserve indication. A “dragging” or “trailing” hand displays the remaining energy on a 280° sector. This surface area that is far larger than classic indicators enables a precise division of the 14 days, themselves split into two 12-hour segments, thus ensuring improved readability of the power reserve. 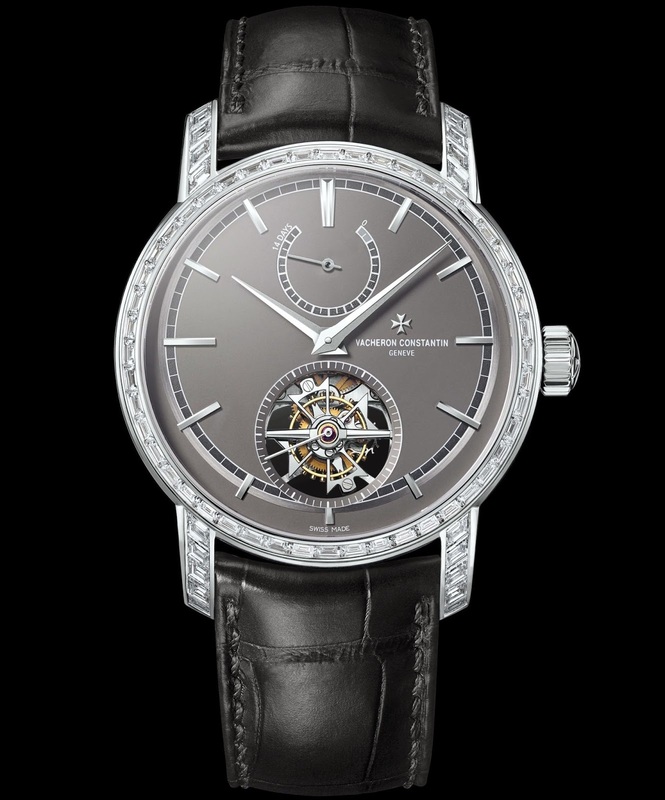 To ensure this 14-day power reserve, Vacheron Constantin Calibre 2260 is equipped with four barrels stacked in pairs, interconnected and unwinding simultaneously, but four times more slowly than a single barrel. The architecture of 231-part Calibre 2260 comprises two large bridges. The movement finishing and notably the Côtes de Genève motif find magnificent scope for expression in these generous dimensions. 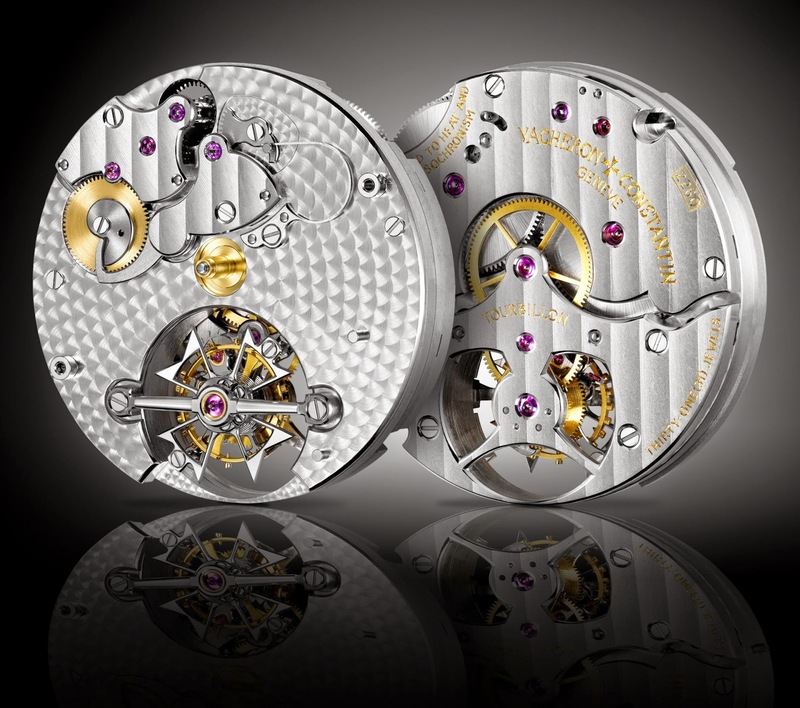 The various parts of the tourbillon carriage, inspired by the Maltese cross, feature a large number of naturally hand-chamfered interior angles. The tourbillon bar alone took over 11 hours to round off. The new Traditionnelle 14-day tourbillon remains true to the aesthetic codes that have forged the reputation of this line imbued with rigorous purity. 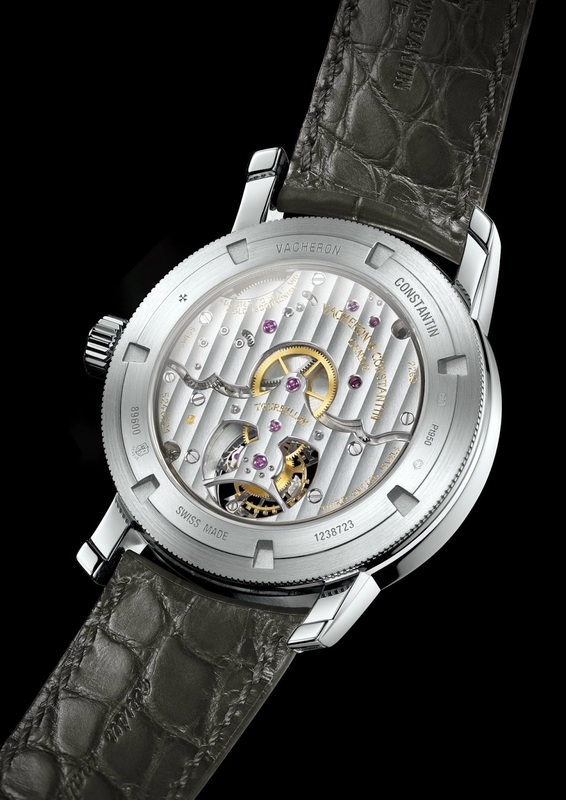 The slender bezel, the case middle with its fluted base, as well as the screw-in sapphire crystal, white gold dauphine hands and slate-grey dial lit up by a bezel set with baguette-cut diamonds: each of these elements contributes to identifying this understated and technical collection serving as an eloquent reminder that tradition and modernity rub shoulders in perfect harmony at Vacheron Constantin. 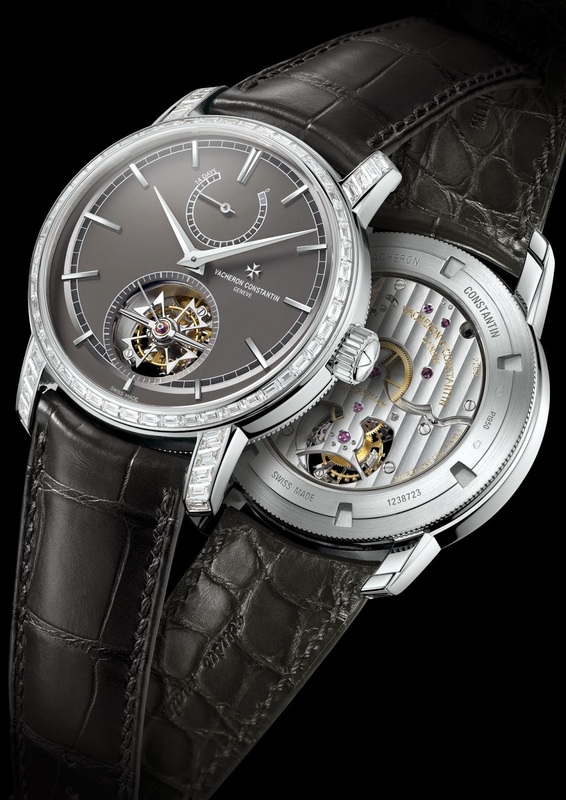 From the mechanism to the exterior, everything about this new creation from Vacheron Constantin testifies to perfect execution – right the way through to its certification by the prestigious Hallmark of Geneva, the highest Fine Watchmaking reference bearing witness to the quality, craftsmanship and reliability of an exceptional timepiece made on Genevan territory.